These are tricky times to be living in. Just a while back in August, the broader market indices were at all-time highs. The equity portfolios of investors were in the red even when Sensex and Nifty were in the green. And then the markets started having September blues; they started to end their days in the red. The newspaper headlines we come across every morning shout out things that don’t really paint a rosy picture. Global cues are weak, the rupee is falling, crude oil prices are rising. And around all of that, the value of your stock investments is probably diminishing as well. In fact, ever since the stock markets corrected earlier this year, investment portfolios have been in the red. Wise investors have understood this volatility to be an excellent buying opportunity and have kept their faith in equities, which has proven to be the ideal investment to create long-term wealth. We invest during the bad times with the belief that when the markets do well, our investments will also do well. But that didn’t happen back in August when the markets touched all-time highs. That was because the market rally at that time was driven by just a few large-cap stocks. While Sensex and Nifty, indices that comprise large-cap stocks, were rising, their mid-cap and small-cap counterparts were still having a rough time. Even within Sensex and Nifty, only a few stocks had contributed to the rally. These were big names like TCS, Reliance Industries, Hindustan Unilever, HDFC Bank and Infosys that did exceptionally well. The green that we saw was because of these big names; the rest of the stock markets were going through volatile times. Hence, coming back to these tricky times, the question that begs to be answered is—What should you do? How should a long-term investor approach his investments? The answer is that there is nothing out of the ordinary that you need to be doing. The three-pronged investment strategy that I talk about here is actually just a repetition of what is said irrespective of market conditions. Long-term investors should continue investing systematically in equities, invest in portfolios and diversify across asset classes. 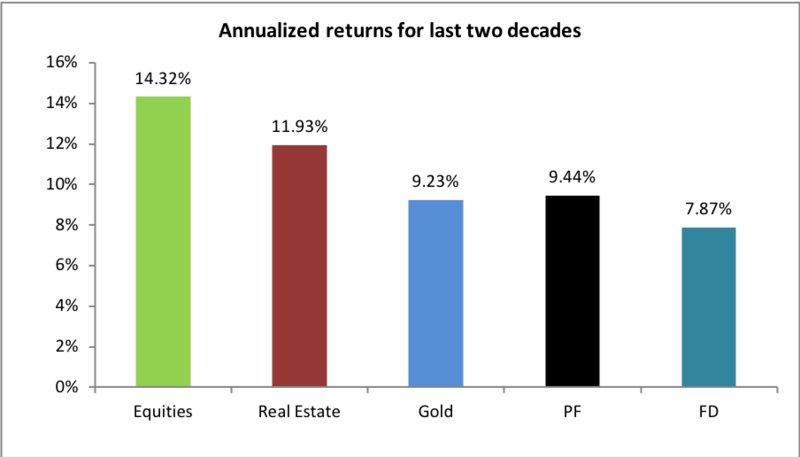 Various studies by different organisations have shown that equities have beaten other investment classes like real estate, fixed income and gold over different time periods. Our research shows the same as depicted in the chart below. No matter what is your holding period, if you want to create real wealth through your investments, they have to be made in equities. But yes, it’s also true that equities are risky. However, there are ways to mitigate these risks and at the same time, continue to benefit from your investments. The next two steps of the plan show you how. Equities are risky when you invest in individual stocks or you don’t carry out the adequate amount of research. Buying one or two stocks on the basis of tips has never helped anyone meaningfully. What will always help is investing in a portfolio of stocks that have been carefully researched and built by a team of expert analysts. This is where a smallcase comes in more than handy. A smallcase is a portfolio of stocks or ETFs that has been built around a specific idea, theme or model. 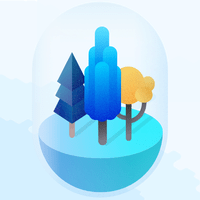 A smallcase is transparent, flexible and low cost. The stocks in every smallcase are picked using our proprietary filters. This ensures that the smallcase performs over the market and remains adequately liquid at the same time. 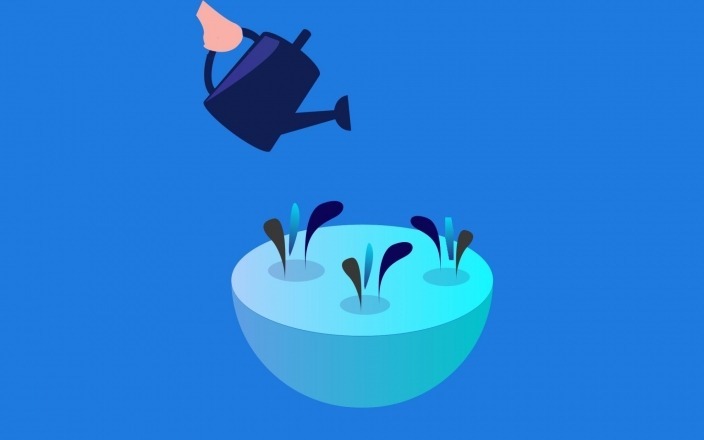 This portfolio-based approach reduces the risks associated with equity investments and allows the investor to benefit from the upside potential in different stocks. And to further mitigate risks, an investor can also consider investing in other asset classes. While equity should be your primary investment to build long-term wealth, you should also diversify your investments across fixed income and gold. 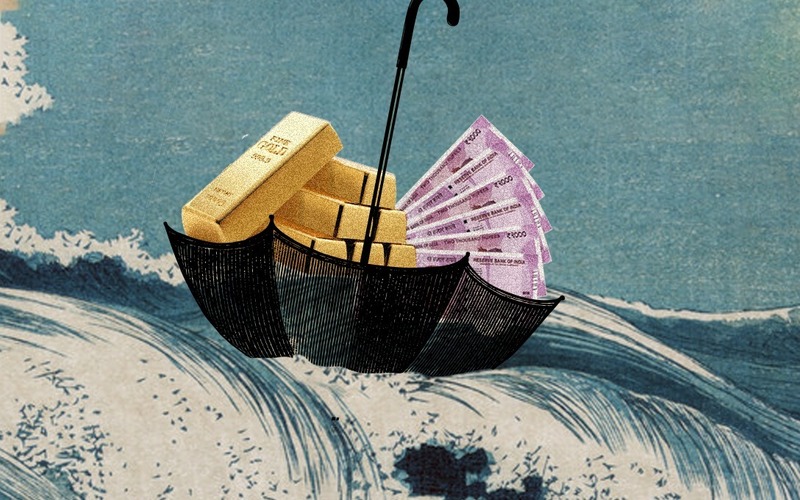 Fixed income investments will give you largely positive returns while gold will act as a cushion when the markets are tempestuous. A good way of achieving this diversification effectively is by investing in the All Weather Investing smallcase. This smallcase uses an intelligent algorithm to determine the ideal asset allocation mix across equities, gold and fixed income. This exposure is attained using 4 ETFs. 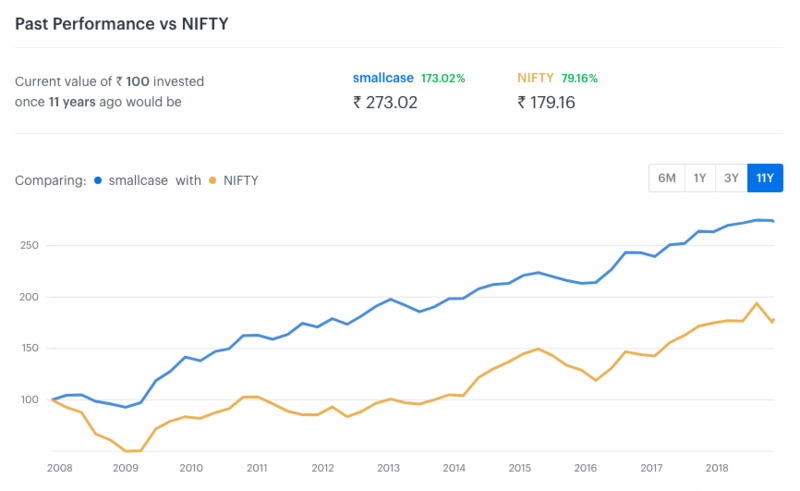 As the chart below shows, the All Weather Investing smallcase has outperformed the Nifty over the long-term, even after taking the 2008 and other market crashes into account. 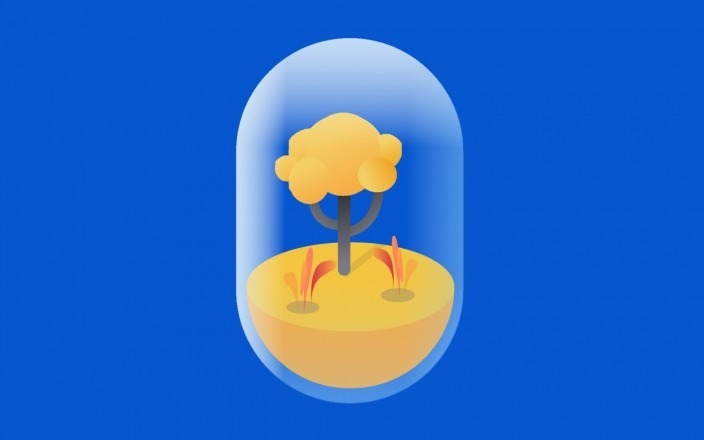 As a passive investment strategy, the All Weather Investing smallcase might not give you blockbuster returns, but it will also not erode your returns during bad times. These three steps make up a simple strategy that investors should follow at not only a time like this, but during most times. What is happening to the markets today or this week or this month should not be a major factor of consideration if you are investing for the long-term. I spoke about these steps in an interview with BW Businessworld as well. Do check it out.